Sometimes we just need to make a quick buck, without having to spend hours trying to do so. You’ve probably heard about all of the usual ways to make money quickly and easily, but we want to look at the unusual ways. From renting yourself out (not creepy, honest) to selling body parts (also not creepy), here are some unusual ways to make money with very little effort. If you have any spare space in your home, then you can rent it out. Gardens are perfect for campers, as long as you have space. You can also rent out a spare bedroom as an office or your whole house for holidaymakers. When you’re not there, obviously. You can rent out rooms or buildings on Airbnb to make a bit of spare cash. As long as you don’t mind tidying up after other people, of course. This isn’t as creepy as it sounds, we promise. There’s a service out there called Rent a Friend that does what it says on the tin. People can rent a friend to take them to events or even to the movies. The site has a strict ‘platonic only’ rule which means there’s nothing untoward about meeting up with these people. Help out someone a bit lonely and get paid for the privilege. Be careful when using this option; notify a friend or family member about your whereabouts. Although it may take a little while to see the rewards of investing in tax lien certificates, it requires such little effort we had to put it on the list. You purchase a certificate that is basically like purchasing someone’s property tax debt. You can then claim any unpaid taxes and the interest rate on top of that. Sometimes it even ends up with you being able to purchase the house that the debt is owed on. There are plenty more great tax lien investing ideas available online. One of the quickest and easiest things to do, if you want to make some spare cash. 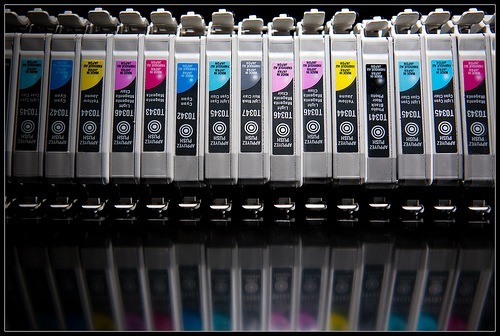 Round up all of your old, empty ink cartridges and sell them on. You can get around $5-10 for each empty cartridge, which is great if you have a ton lying around. Have a look through drawers and dig out all you can find. Make sure you keep hold of any empty ink cartridges in the future, too. If you’ve got guts, then this is a pretty hilarious way to make money. You need to be able to stand very still while in the buff, but that’s about as much effort as you need. Life models for art classes can earn a pretty decent amount of money per hour, just for standing around. Plus, it doesn’t matter what shape or size you are. Be daring and flash the flesh! Again not creepy, honest. You can sell hair, plasma and breast milk if you’re not easily freaked out. Hair is used for wigs, plasma is used in clinics, and we don’t want to know what the breast milk is for. Find out what is legal in your state before you start cashing in. Finally, there are plenty of companies who are willing to pay for your opinion, and it requires very little effort. You can take surveys online, review items sent to your home, or even attend focus groups. Most of the time, you get cash and something new on the market to take home. Hopefully we’ve inspired you to think outside the box when it comes to making an extra buck here or there. Now, which one are you going to try first?